Motorcycle racing isn’t for the faint of heart, with little protection and the threat of a high-side flip being constant. 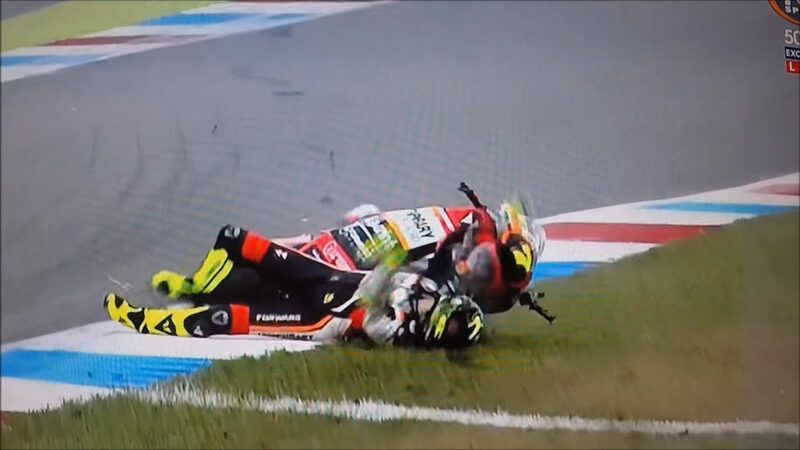 And the bike bit hard on Saturday, as Moto2 rider Lorenzo Baldassarri experienced a terrible crash during qualifying at Assen. Baldassarri suffered a high-side, ragdolling in the air before being hit in the back of the head and neck by his own bike. 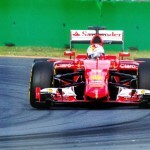 The session was subsequently red-flagged and the Italian taken to hospital. Check out the crash below. The rider was diagnosed with a bad concussion as well as a fractured ankle, according to Motorsport.com. He’s since been discharged from hospital. As for qualifying, Franco Morbidelli secured pole position, while South Africa’s own Brad Binder lines up 17th.